Things I've Loved This Week! cowbiscuits | UK Lifestyle, Style and Beauty Blog. : Things I've Loved This Week! The back - HOW AMAZING!!! Cats in space on the ol' night prowl, how can I not be in love with this?! The occult - I'm there. Of course. 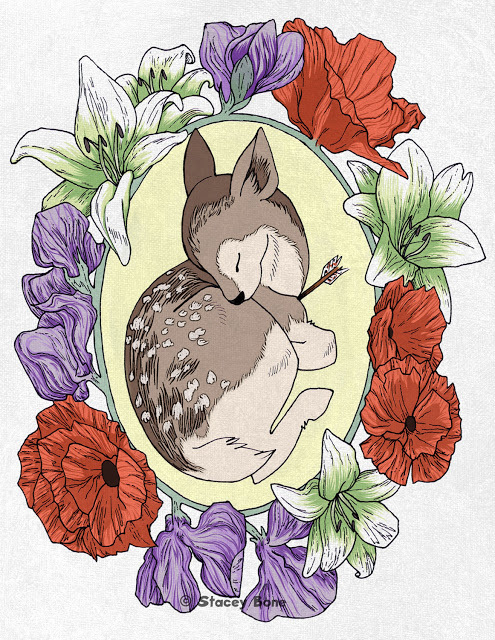 This beautiful Deer Illustration is by Stacey over at Whimsical Wolf. I want it in a frame and hung on my wall immediately! More please Stacey! Last week I went to a Crystal Tarot reading. I'm big into my holistics and spiritual stuff. I'm a Pagan and obsessed with life's oddities. The lady said I am strongly connected to Mermaids and Unicorns (well duh!) 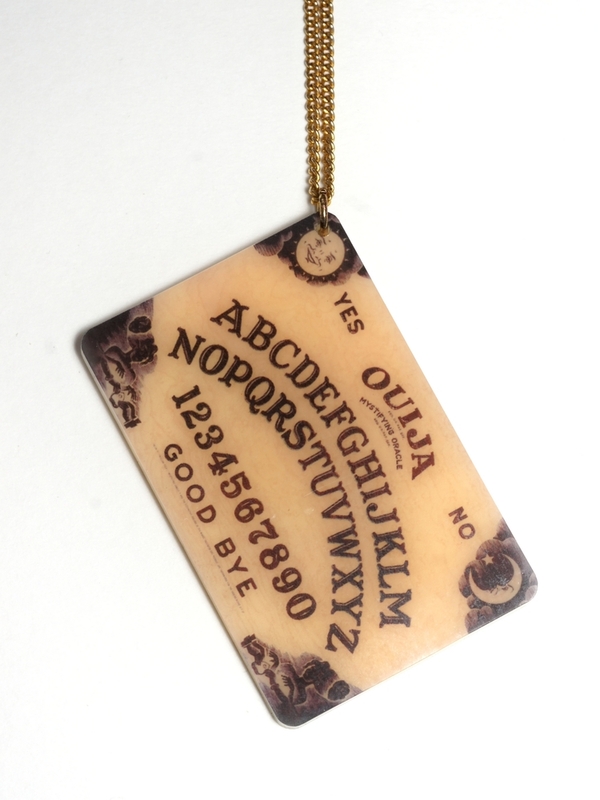 so this gorgeous necklace make me squeal! I am for sure going to make my own terrarium over Summer! 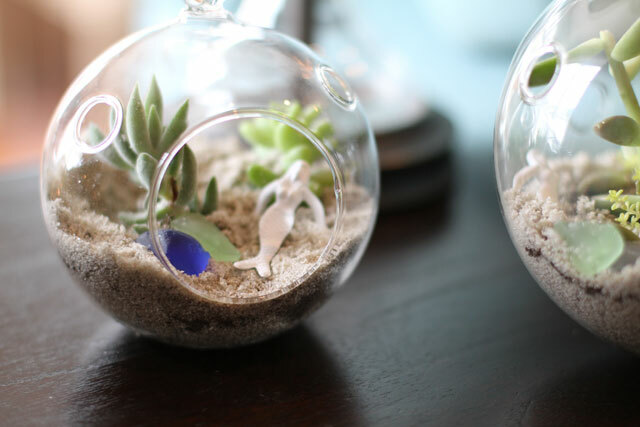 HERE is a huge list of other amazing DIY terrariums! In real life we bought a record player and my mum gave me loads of her old records to add to my country music and disco record collection. I've been listening all day and I've felt so joyful! Omg the sea terrarium looks wonderful!! Ah! That jean jacket is TOO cute! I LOVE the back of it =D The design is PERFECTION! Thanks for sharing! Your wishlist is lustworthy for sure =D I can't wait to read more! 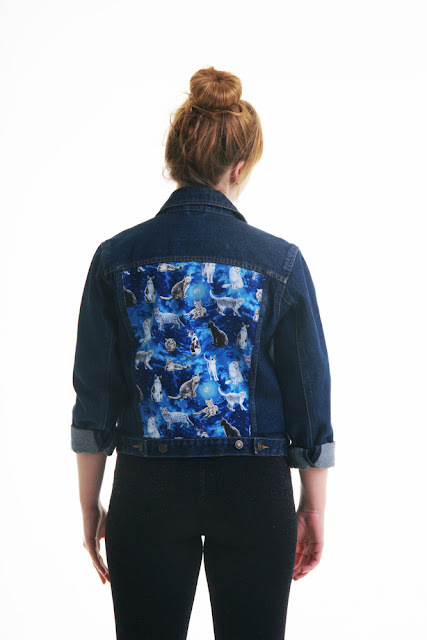 but the firts denim jacket is totally amazing dear!!!! Wowee thank you so much for featuring my art! :D I'm looking into getting prints made as a few people are interested :) Gotta say that cat jacket looks amazing! The terrariums are gorgeous. Also nothing beats listening to records! im definitely digging the nike crop-top! 52 Weeks Of Instax Challenge UPDATE! Fade To Red - outfit post!